The world is short one more species this week - and, sadly, others like it may be soon to follow. On Wednesday, the Atlanta Zoo announced that a 12-year-old frog named Toughie, the last known Rabbs' fringe-limbed tree frog left in existence, had been found dead in the enclosure where he lived by himself. Toughie was one of several frogs airlifted from his home in Central America in 2005, the year his kind was first discovered in the cloud forests of Panama. Biologists had hoped, by breeding them in captivity, to save their species from a deadly fungus-borne disease affecting amphibians after it was detected in the region. 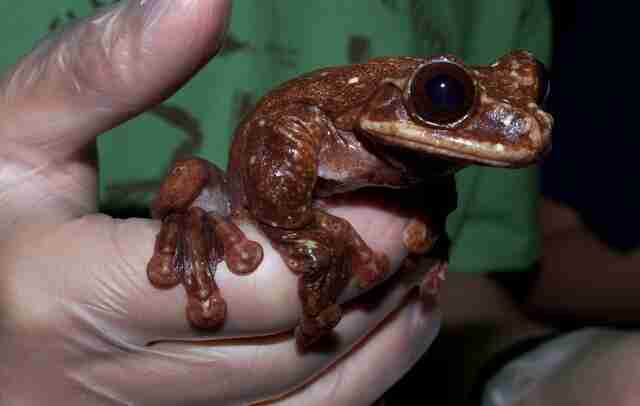 Just two years later, Rabbs' fringe-limbed tree frogs could no longer be found in the wild. Despite the best efforts, those breeding programs aimed at preserving frogs proved fruitless. 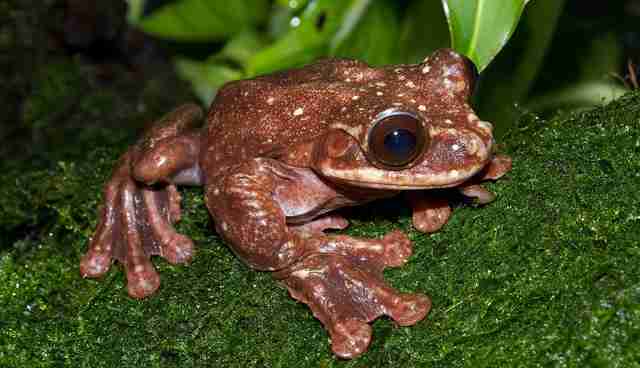 By 2009, the last female Rabbs' fringe-limbed tree frog died in captivity, followed by another male in 2012. From that point forward, Toughie was all that was left. The loss of Rabbs' fringe-limbed tree frogs is just the latest in what is considered an ongoing mass extinction of amphibians. In recent decades, more than a hundred amphibian species have been wiped out, with another 6,285 being at risk of extinction. While the causes of this die-off are not fully understood, researchers believe human activity is in part to blame - through habitat destruction, pollution and environmental changes brought on by global warming. Click here to learn more about issues impacting the world's amphibians, and to find out how to help.